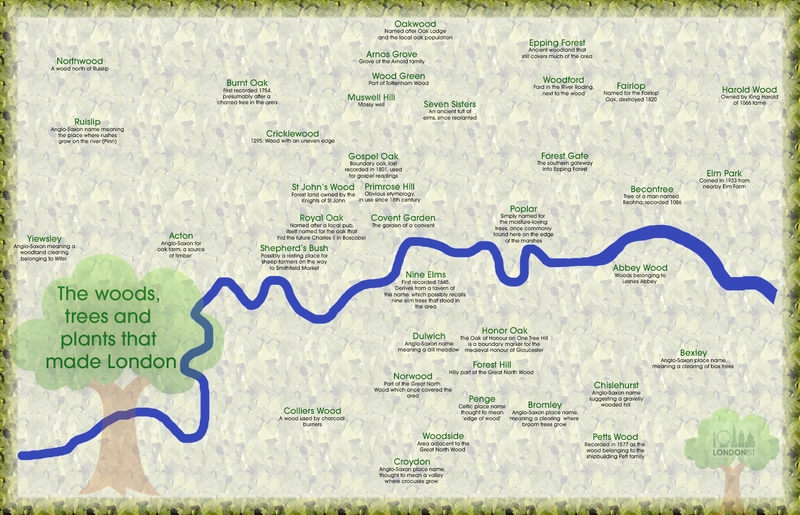 Which Bits Of London Are Named After Plants? M@ Which Bits Of London Are Named After Plants? Click or tap for higher resolution. Did you know that part of south London is named after a dill meadow? Elsewhere, the capital's town centres owe their names to elms, oaks, poplars and broom trees. Even the humble moss has leant its name to one district. Tree photograph used on homepage by Sarah Snowden from the Londonist Flickr pool. This is an updated version, with further suggestions from readers. Thank you!